He drunk dialed once and got his own voicemail. He called a rose by another name and it didn’t smell as sweet. The President of the United States wants to be interviewed on his fake cable news show. He is Jon Stewart ~ Askmen.com’s “Most Influential Man” of 2010. 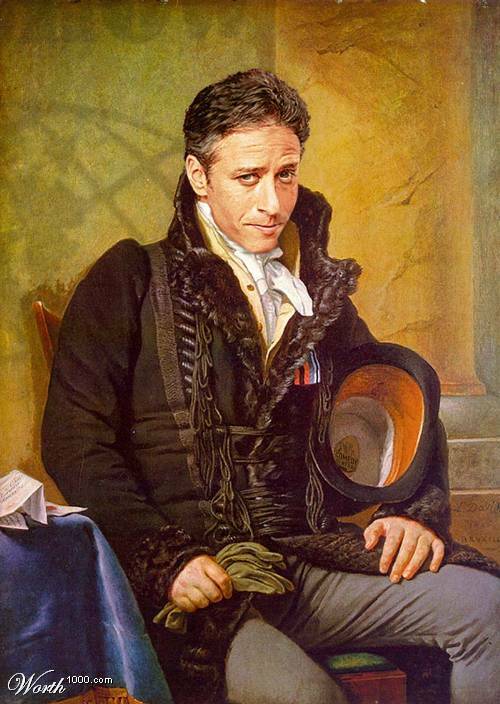 Keeping company with but earning rank over the leader of the free world (who is indeed appearing on The Daily Show this evening), Mr. Stewart has proven to be as much of a revered icon as one can be as the definitive anchorman of fictitious news. While many may comment on ~ and many have with vigor ~ Askmen.com’s editorial timing of this list topping appointment (pushing Stewart’s Rally to Restore Sanity in Washington D.C. this Saturday, perhaps?) and the real significance of gaining top post on an online survey that also yielded high results for Russell Brand, there’s no doubting the political import this brilliant, self-deprecating comedic guy from New Jersey musters. Did I mention the President of the United States wants to be interviewed on his fake news show? That one wasn’t an imitation tag line inspired by my favorite beer commercial. I never liked lemon cake until I tried yours. Now I LOVE it!!! !